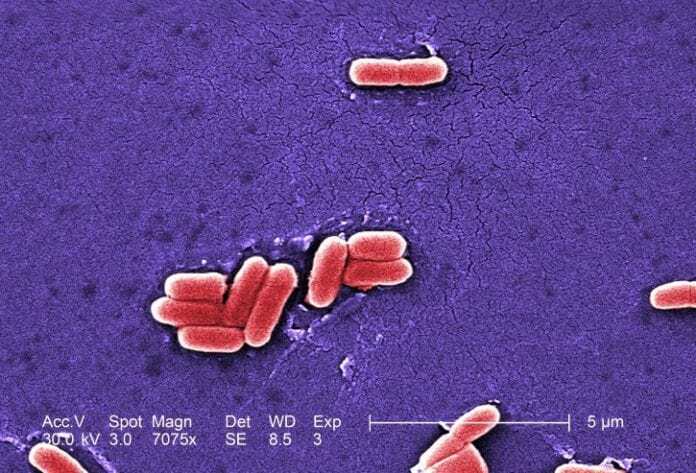 On Tuesday Night, public health officials confirmed that at least 36 people contracted E. coli O157 infections at an all-class reunion last month in Richey, Montana. Tests confirmed outbreak cases in nine states and seven Montana counties. The widespread nature of the cases makes sense in this case. Victims of outbreaks such as this one often come from a small geographic area. However, the nature of a reunion explains why tests have confirmed E. coli cases in so many states. Class reunions involve people leaving their home town to gather in a single place and then return home. Since symptoms of E. coli typically begin 3-4 days after exposure, attendees had likely returned home before falling ill. The Richey Centennial Event & All Class Reunion took place in Richey, Montana, a small town 50 miles north of Glendive, from July 15th through July 17th. The Dawson County Health Department (DCHD) and Montana Department of Public Health and Human Services state they are working together to find the source. According to DCHD, positive E. coli test results confirmed “at least 30 people from eight states” had contracted the illness as of July 28th. Tests also revealed the outbreak involved a more virulent strain of E. coli known as E. coli O157. The presence of this strain likely explains why such a high percentage of sick people required hospitalization. The release also stated that as of that time, “in Montana, six counties [had] been affected” by E. coli cases tied to the outbreak. At that time, DCHD continued to receive new case reports, and “additional laboratory results [were] pending. Over the next five days, the number of confirmed cases rose by a minimum of six. One additional state reported its first confirmed outbreak case, as did one Montana county. Therefore, as of last night, nine states and seven different counties in Montana confirm at least one E. coli case related to the outbreak. In addition, doctors admitted one more person to the hospital during that time due to the severity of the patient’s illness. As part of the investigation into the source of the outbreak, officials are attempting to interview all people who attended the reunion. If you attended the event, officials request that you complete an online survey (regardless of how long you remained there). The survey itself requests that people “refrain from speculation regarding” the outbreak’s cause. According to the survey, officials will release additional information as it becomes available. According to news reports, despite the fact that officials have not yet identified the precise source of the outbreak, they do “believe it may have originated with a local food vendor present at the event.” DCHD confirmed that they have experienced no issues with vendor cooperation in the investigation. As with other E. coli outbreaks, despite the fact that “the incubation period has passed from the initial event,” individuals can still pass the bacteria to another person. This fact remains true even when the first victim no longer feels ill. Due to this fact, officials warn of a potential “second wave of infections.” Medical professionals advise good hand washing as the most effective way to prevent spread of the bacteria. Unlike other outbreaks, however, a second avenue of additional infections lurks in the background. News reports state that some reunion attendees took leftover food home with them at the end of the event. Since the source of the outbreak remains unknown, one or more food item(s) taken home to eat as leftovers may contain E. coli bacteria. Due to this fact, officials strongly discourage any person from eating leftover food that they may still have from the event. In addition, they request that anyone with food from the reunion turn it over to the health department for testing. If you or a family member became ill have been diagnosed with food poisoning and you would like to explore pursuing a legal claim, contact an attorney at Ron Simon & Associates for a free case evaluation.